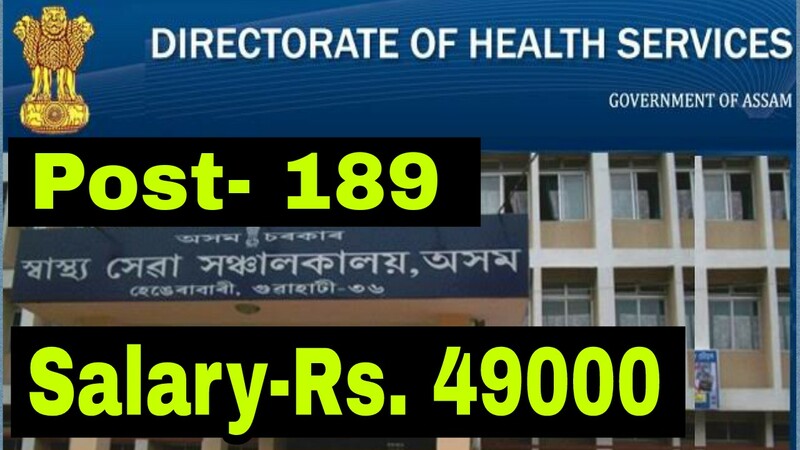 Directorate of Health Services, Assam has issued a notification for the vaccancy of different categories. All the elligible candidates can apply for this job before 16 November 2018. Here are the all deteils about this job. Educational Qualification - Graduation with Diploma in computer application from ant stream. Qualification: Graduation with Diploma in Computer aplication from any recognized institute. Qualification : HSSLC passed with Diploma in Stwnography from ITI. Qualification: Graduation with Diploma in Computer Application. Qualification: HSSLC passed with Diploma in Refrigerator mechanic from ITI. Age limit : Candidates should not be less than 21 years and not above 44 years. 10 years of differently abled candidates. 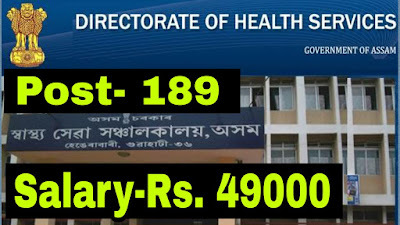 IInterested candidates shall have to register and fill up the online application form available at the official website of Directorate of Health Services, Assam.